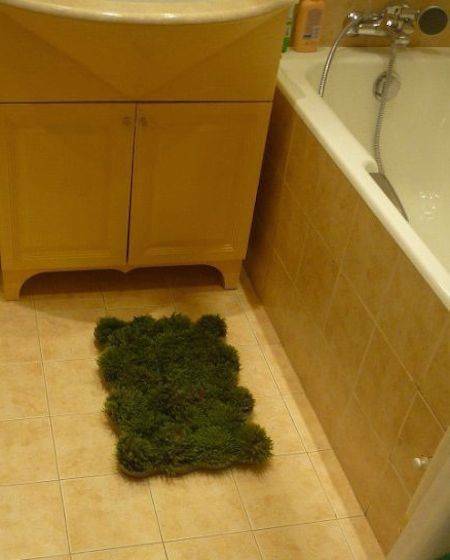 I'm not entirely sure about the efficacy of a moss bathmat. I mean, seriously, how long would moss (or grass) set in a foam substrate live in indoors in a bathroom? But be that as it may, it looks really cool. The process seems straightforward. Foam board, marker, ruler, circular object to use as a template, a scissors, a serrated blade, and a sheet of moss or grass. 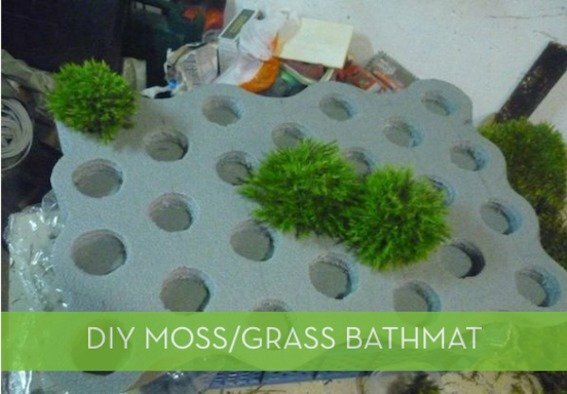 I'd try to find soft faux greenery if I wanted to make sure it lived; if I had an outdoor shower, I'd forgo the foam altogether and just encourage a natural moss mat to grow. How lovely would THAT be? To see the rest of the pictorial tutorial, click here.